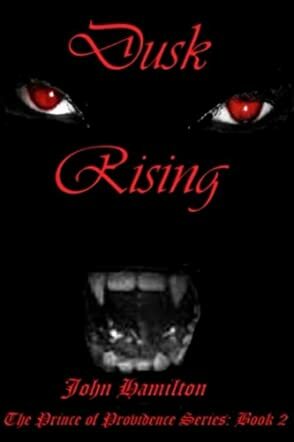 Dusk Rising is a work of dark fantasy fiction penned by author John Hamilton, and forms the second book in the Prince of Providence Series, following The Insignificance Paradigm. We continue our journey following the hero and lost prince Eleazaar Oman, a cleric of the Order of Infinite Light. Though he is young, this hero has already seen much tragedy and suffered great hardship, and though he has processed some of that pain and loss, there are more struggles ahead when he arrives in the small village of Eoferwic. Rumors and whispers surround the grisly truth of the killings happening here, and Eleazaar can hardly imagine the horrors he will face to get to the truth. Fans of epic fantasy in the style of Tolkien and Dungeons and Dragons will find so much to enjoy in the work of author John Hamilton. Dark and horrific in the right places, whilst also staying true to the high fantasy style of narrative, I found the action of this novel well-paced and not too long-winded, so that it keeps the excitement level going for its readers. The monsters discovered within these pages will haunt readers a long time after reading, and Eleazaar makes a fitting young hero with much space to learn and grow as the series continues. I enjoyed Hamilton’s world-building, especially with the systems of order and the map well arranged to present an expansive, realistic fantasy world with its own cogent lore and ways of being. Dusk Rising is a highly recommended foray into an exciting fantasy world.